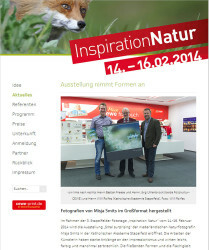 Willi Rolfes invited me to the ‘Stapelfelder Fototage‘ in Germany, which take place from 14 till 16 February 2014 in the Katholische Akademie Stapelfeld in Cloppenburg. 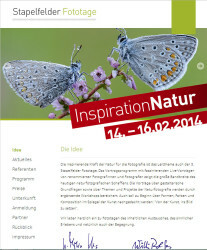 This year the theme of the festival, which will be held for the third time, is the inspiring force of nature. 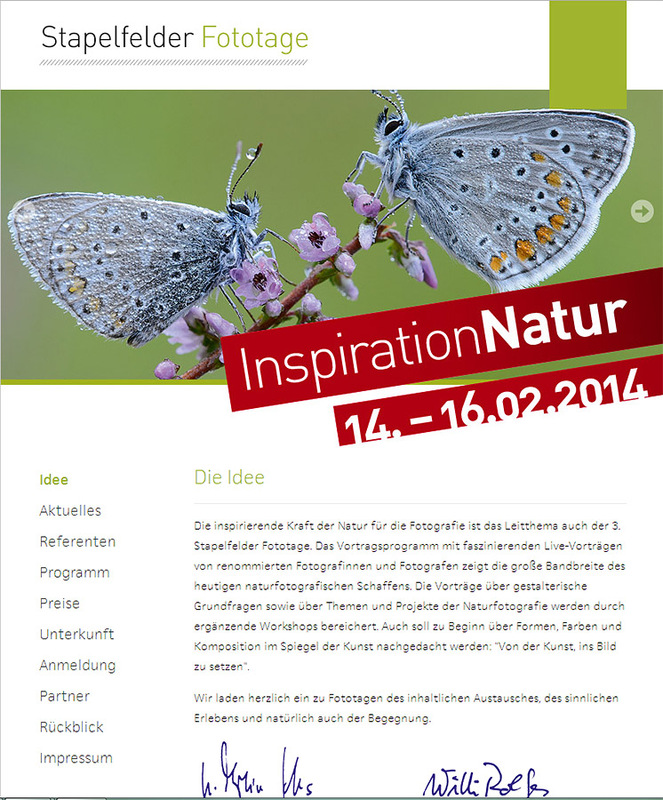 Therefore the title of the festival is ‘Inspiration Natur 2014’. On Saturday 15 February I will be giving a presentation in which I will be showing some audio visual shows and also I will be doing some explanation about my working methods in the field. Read more about the festival and its participants. 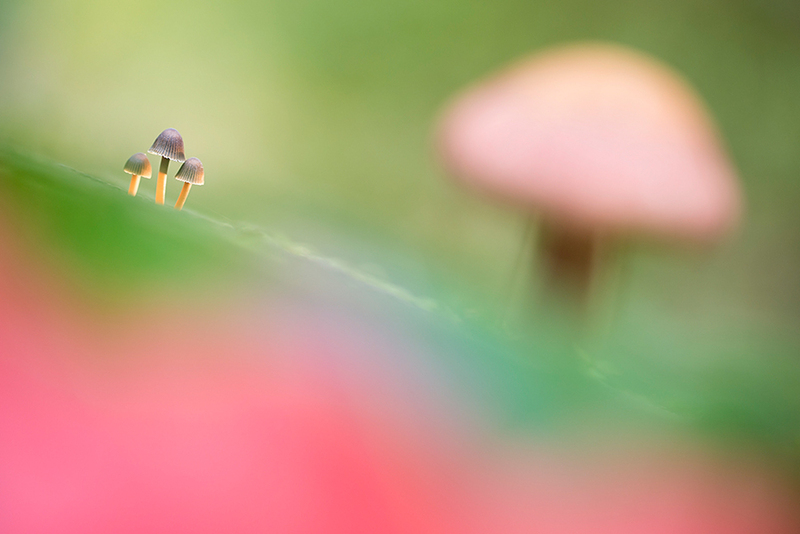 Not only am I invited to give a presentation during the festival Stapelfelder Fototage, moreover I am given the opportunity to show 41 of my images printed on large format during the exhibition that precedes the festival. The exhibition will be called ‘Small Surprising’ (named after my book ‘Small Surprising) and it will be opened Friday evening 14 February by Dr. Martin Feltes, who is an art historian. At this very moment the prints are being made by the photo lab CEWE color and I feel so very honored! This is my first exhibition and it already looks great! 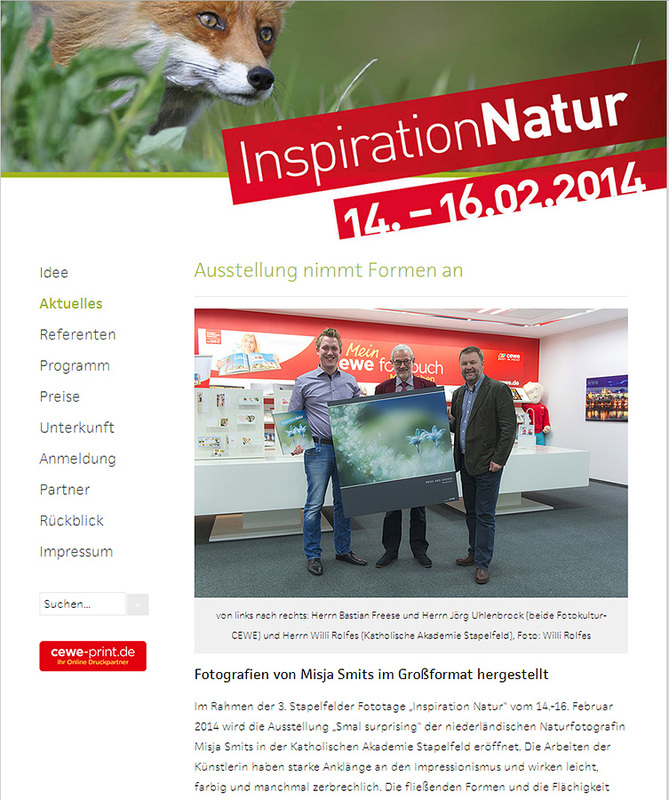 Thank you so much Willi Rolfes for giving me this beautiful exposure! The picture shown below (Cozy and close) is one of the pictures exposed in the exhibition. During the festival Stapelfelder Fototage I will be offering my new postcard set, my book Small Surprising including the limited prints sized 20x30cm, and also 5 pictures in the size of 30x45cm. 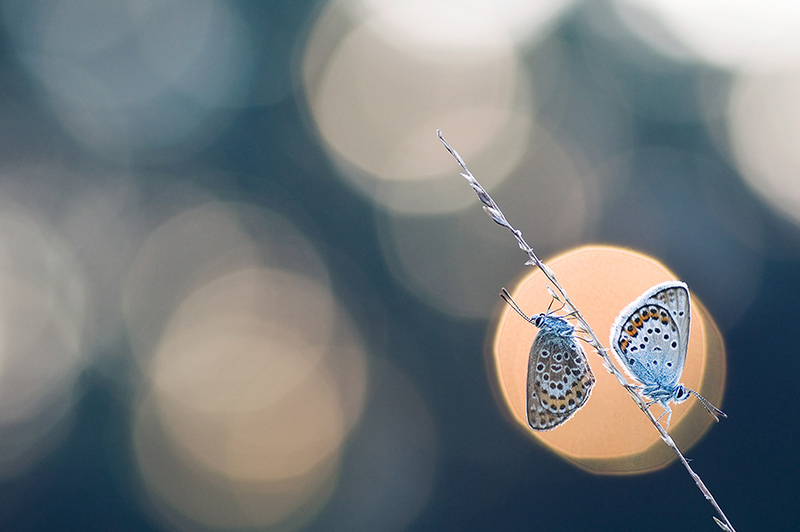 These 5 pictures are also exhibibited and are a special offer during the festival: they come in a limited edition of 30 and only cost €195,00. The picture shown below is one of them. To ‘celebrate’ the birth of my new website, I have put together a set of postcards to sell. 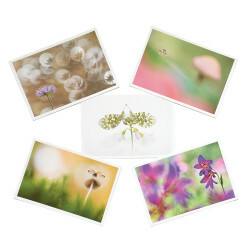 This set contains 5 different pictures and only costs €14,95. Look here for more information.